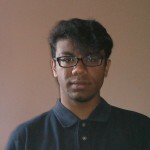 Mathusaan is an Engineering Student at Ryerson University. He has been writing poems since the age of 14 which has allowed him to disclose emotion and views in an oblique manner. He is influenced by events that have transpired around him. This entry was posted on Sunday, June 7th, 2015 at 7:17 pm	and is filed under Cafe, Poetry/Art. You can follow any responses to this entry through the RSS 2.0 feed. You can leave a response, or trackback from your own site.